The popularity of Frozen is out of question and even after over a year of the movie release the number of fans grows every day, no matter if they are kids or grown-ups. Most winter time week-ends this holiday season we were listeners of Frozen songs performed by my nieces. Every girl took a character name after her favorite princess and sings the songs related to selected scenes of the movie, so now we have our own Anna and Elsa. 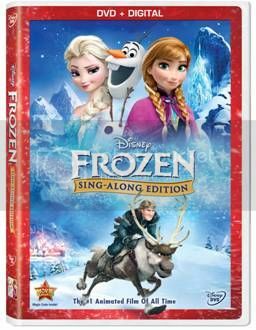 Frozen Sing-Along DVD which already hit the stores, makes it possible to sing and dance with your favorite character whenever you like, and definitely, would not leave you bored. First, when I saw the DVD, I thought we got Frozen movie songs one by one, but it was a nice discovery to get the whole movie with an additional karaoke feature. Now while watching a movie you have the lyrics on a screen with a bouncing snowflake helping you to follow a song’s flow. Canadian winter can be pretty cold, and long days inside can be more cheerful with Frozen songs, jumping out of the screen. Now if you wanna build a snowman, fight the ice monster, ride a sleigh or save little princesses, you can easily do this with music and dance. The whole family can join the signing including older siblings, mom, dad and grandparents. 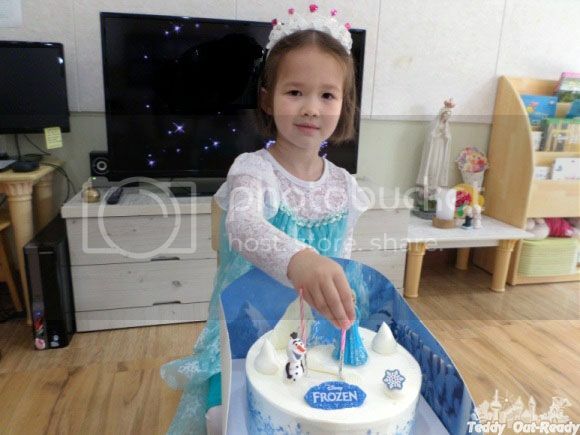 What about Frozen parties which hosted almost everywhere only showing how popular this movie is? Frozen Sing-Along DVD is the perfect addition to Frozen-themed party where kids can sing together their favorite songs and even have a mini-play. Time to join Anna one more time as she sets off on an epic journey – teaming up with rugged mountain man Kristoff and a snowman named Olaf – to find her sister Elsa, whose icy powers have trapped the kingdom of Arendelle in eternal winter. It’s pure adventures and fun for everyone!